It feels like ever since Marvel’s Thor movie hit the silver screen way back in 2011, Norse mythology has become more popular with mainstream audiences. Up to that point, that lore worked well in the heavy metal scene, but it didn’t quite have the same elegance or popularity as the Greek gods. But now, Vikings are prominent on TV, specifically on History Channel, and in videogames, there are more and more titles using that Norse lore as the backbone of truly epic adventures. 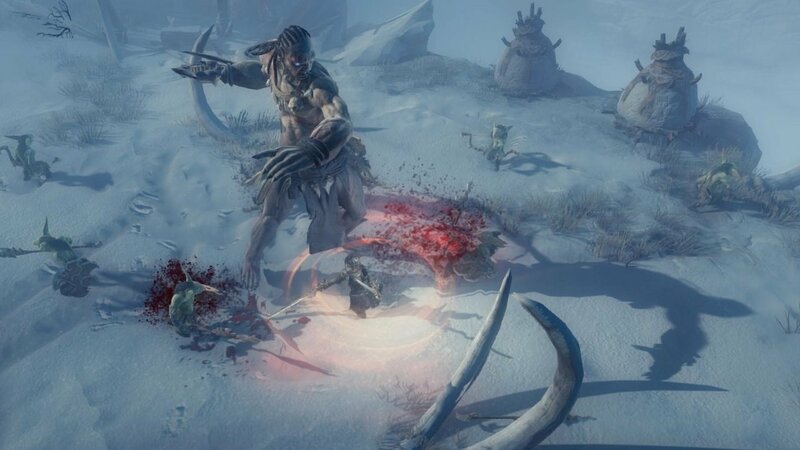 That is the premise behind Vikings: Wolves of Midgard, which takes the basic gameplay premise of Diablo and puts it, with minor alterations, in a Norse-inspired setting, making for an epic adventure filled with ice giants, cold winter, and high octane action. Developed by Games Farm, known for their work in Air Conflicts: Vietnam and Air Conflicts: Secret Wars among other titles, this new property is slated for an early 2017 release for PC, PS4 and Xbox One. And even though Vikings: Wolves of Midgard isn’t what you’d expect from Games Farm or Kalypso Media (who are known for more point and click based games), this step into more action-based gameplay is exciting. In both my hands-off preview and hands-on demo, I was shown a large icy world. Vikings: Wolves of Midgard introduces players to the Norse concept of Fimbulwinter, or “mighty winter” that comes before the end of the world. Everything is dreary, icy, and dead. Your character returns to his village to discover giants have overrun everything, leaving it up to you to save the town. Upon rescuing your fellow townsmen, you’re appointed chieftain, and part of your new responsibilities include rebuilding and upgrading your village. This is your hub world that you constantly return to to upgrade your character by sacrificing enemy blood to the gods or to use your materials to craft better weapons. You don’t get either of those things unless you actually go out and complete missions, though, and I must say, they got my blood pumping. My playthrough required me to go out and slay an ice giant in a pretty intense battle. The game looks and plays similar to Diablo as a pseudo-dungeon crawler and action RPG with a fixed above camera, but it feels different. I played on the PS4, and in this version, the right stick is used to dodge rather than turn a camera or even rotate through moves. Each button is used for different power ups, so there is a heavier focus on action instead of potion spamming. 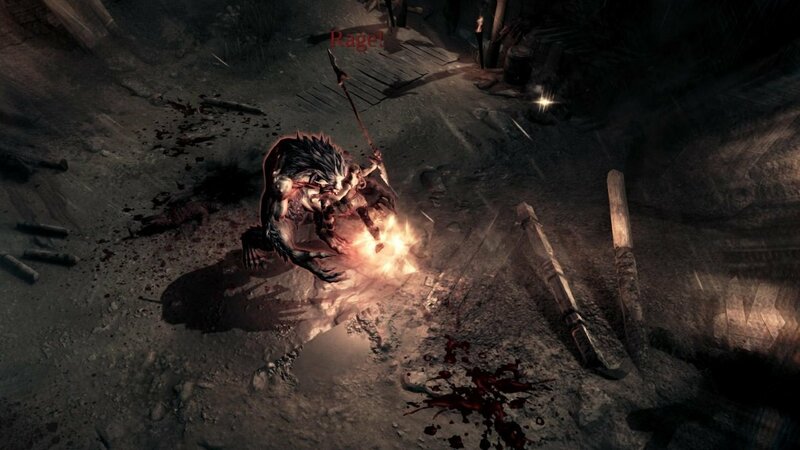 The game encourages players to get up close to their enemies and dodge at the right time, giving the game a heavier focus on action than Diablo in that regard. Obviously, when making a title in this genre, Diablo is the template, but that inspiration feels more loose in Vikings: Wolves of Midgard, as it has a completely different play style that takes a little getting used to if you play a lot of Blizzard’s RPGs. At least, that’s one of the complaints I heard before I played Vikings: Wolves of Midgard. I can understand that the dodge mechanic, which is used heavily in combat, does require an adjustment period to shed your typical Diablo play style, but it feels so natural. 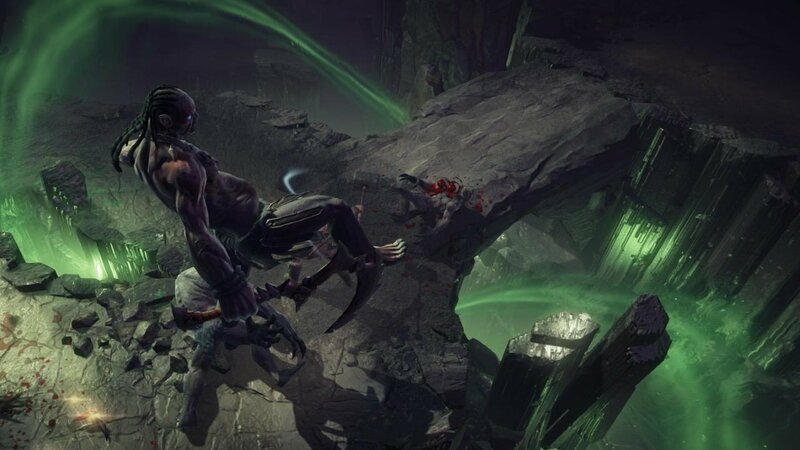 Each dodge feels like you barely missed complete annihilation, and each sword slash or shield bump feels like you’re delivering a devastating Viking blow. On top of that, there is an added sense of danger with exposure to the cold. As you fight through winter levels (not all levels are winterscapes) an exposure bar fills. Once it reaches it’s maximum capacity, your character starts to lose health. You prevent this by finding fire spots throughout the level, but it means you have to be smart about your battles, and even pick your fights depending on how far away from fire you are. It adds a sense of urgency to everything you do. That feeling never left me while I played, and it’s one of the main reasons why I’m so excited for Vikings: Wolves of Midgard. 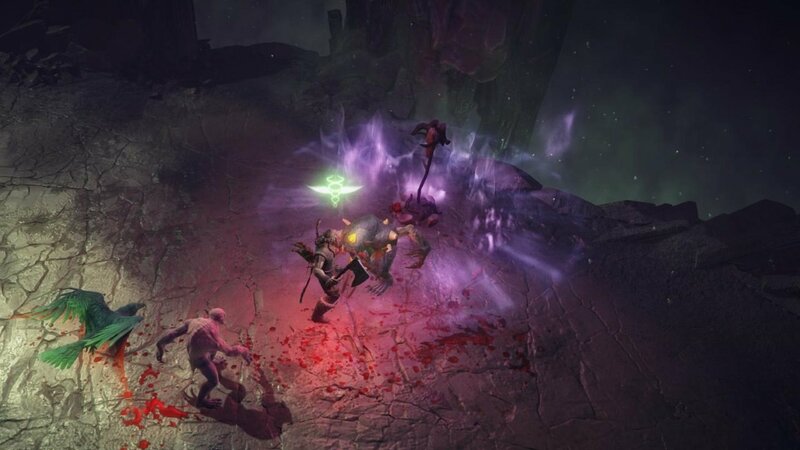 While at first glance it’s easy to dismiss the game as another Diablo clone, it really isn’t. Instead of copying and pasting a tried and true method of gameplay that’s worked for two decades, it takes that framework and builds a completely unique experience on top of it. If all goes well, this could well end up a very fun game worth playing.